External Power Supplies: 62368 will replace 60905 & 60065 in 2019 | MEGA ELECTRONICS, INC.
62368 will replace 60065 (Audio/Video) and 60950 (IT) for external power supplies. MEGA Electronics has already begun the process of getting 62368 certified. EN 62368-1 – As mentioned in previous communications, EN 62368-1 was published in Europe during the second half of 2014. The Date of Withdrawal (DoW) of the standards to be superseded, EN 60065 and EN 60950-1, was assigned as of June 20, 2019. However, the Official Journal (OJ) of the European Union has yet to be updated to include EN 62368-1 as a standard formally associated with the Low Voltage Directive (LVD) – this update of the LVD is expected to be published soon. Please see the link below for the UL website and additional UL standards information. 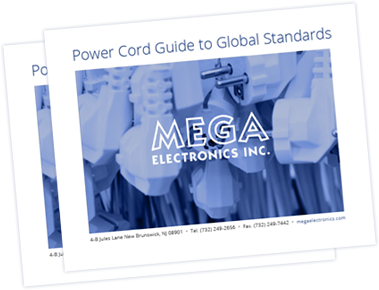 MEGA Electronics is dedicated to ensuring all of our products have the required certifications. We monitor and anticipate these changes so that your projects can proceed without delay. Please call us at 732-249-2656 for information on how these updates might impact your products or email your questions to sales@megaelectronics.com. If you would like to learn more about external power supply efficiency regulations and the change from Level V to level VI, please review our slide presentation.